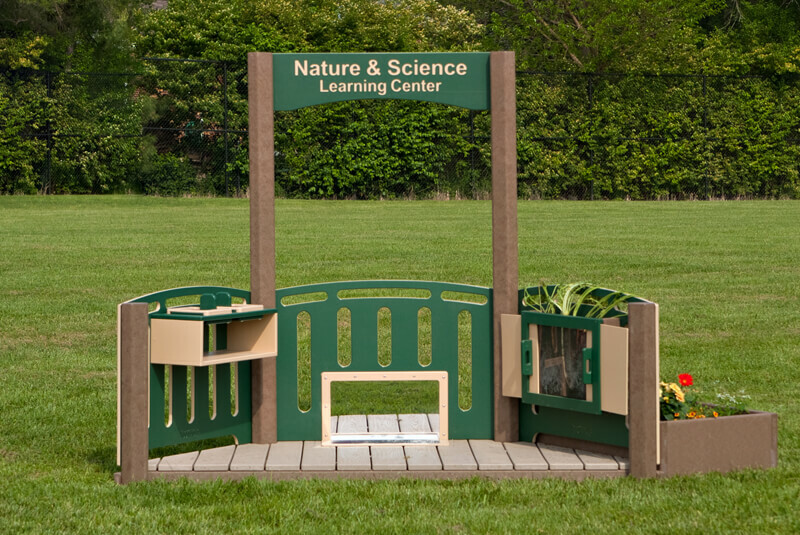 The Nature and Science Learning Center is the perfect addition to your natural playground. 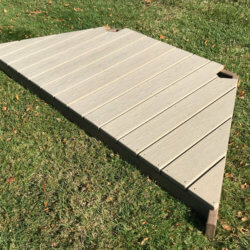 This natural outdoor playground equipment is a partial hexagon which consists of (3) panels. The left panel has a magnifier permanently mounted to it so children can bring over insects, dirt, leaves and anything else they find on the natural playscape to study under the magnifier. The center panel has a large vertical mirror so children can explore the reflection of an object. Mounted on the right panel is a Root Garden with a sliding door to keep the roots in the dark except when opened by curious children. On the outside is a Garden Box with three peepholes near the ground so children can see what creatures might be crawling in the soil. Whenever the children want to investigate the underground life, they can slide open the peephole covers to discover the many mysteries. The Garden Box is approximately 12 inches high and rests directly on the ground so all of the earth’s creepy crawlers can make their way up into the garden. Nature and Science Learning Center Floor Add-On is available. The floor will include a mirror that when added to the center panel will create an overall L shaped mirror so children can see all sides of an object at once.